When you hear a knock at your door, you assume it is a friend, family member, or even UPS delivery person. But when you open the door to find a process server standing on your porch, you might feel a dramatic swing of emotions like stress, anger, fear, and confusion. The process server will hand you court documents that indicate your involvement in a court case, and it will be your responsibility to read those documents and understand the content inside. Rather than hiding the papers in a drawer and pretending they don’t exist, it is very important that you read through them and respond in a timely manner. This guide will help you understand the most common components of these court papers so that you better understand what you are reading. Sometimes referred to as the petition, the complaint is the first document filed in a lawsuit. It briefly describes the plaintiff’s case against the defendant, identifies the parties involved, and outlines the legal basis for the court’s jurisdiction over the problem. 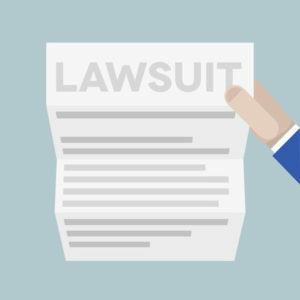 In addition, the complaint will state what exactly what the plaintiff hopes to obtain from the defendant, like financial compensation, divorce, or child custody. The complaint is normally served with a summons, which is an order from the court in which the lawsuit will be litigated. A summons is a court document that states the names of the plaintiff and defendant, the title and file number of the case, the court and its address, the involved attorneys and their addresses, and instructions regarding the process and timeframe for the defendant to file a response. The summons is so important because it makes you aware that you are being brought to court for a specific purpose, and it also provides exact specifications about how and in what timeframe you need to respond to the papers. You will also be able to ascertain from the summons what consequences you will incur if you fail to respond in a timely manner. If you have questions about the papers you have been served, be sure to contact an attorney for further guidance.